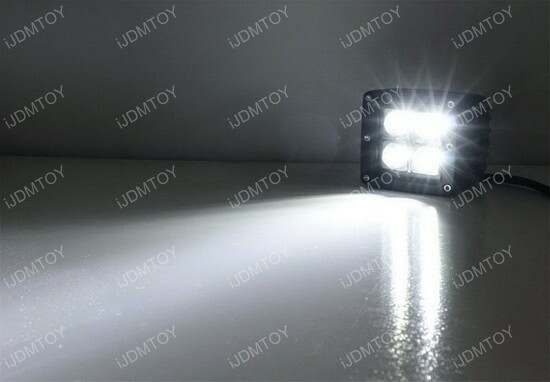 Mount the LED lights in front of the windshield side pillars for an awesome/aggressive new look! 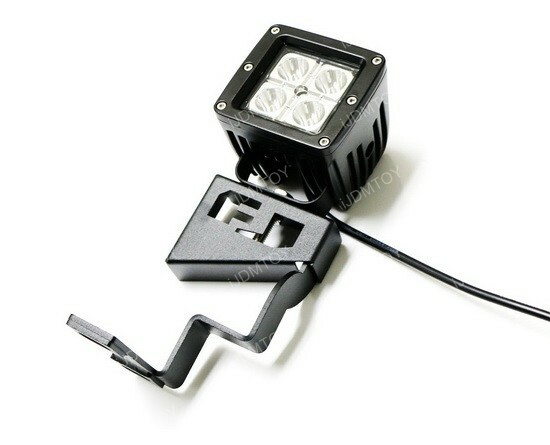 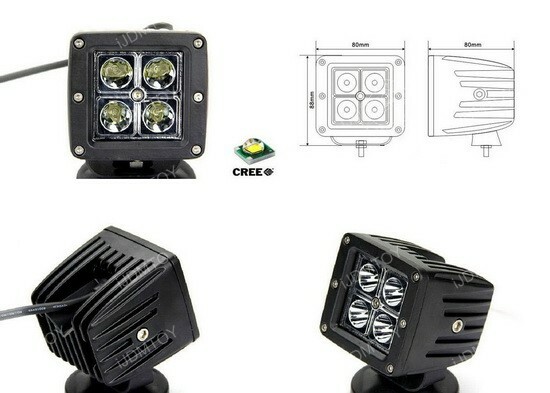 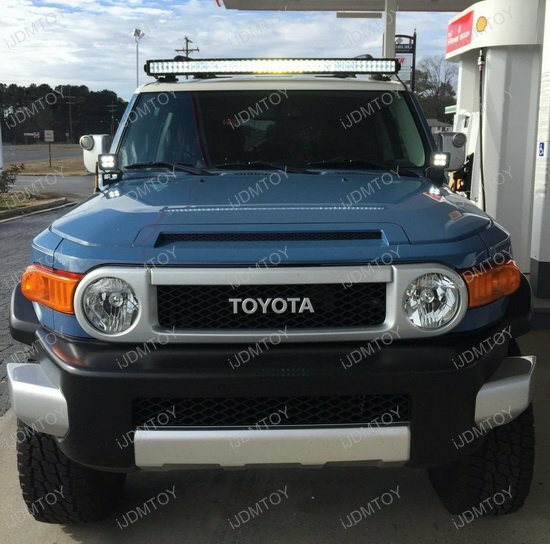 Q: Will this LED front cowl light kit fit on my Toyota FJ Cruiser? 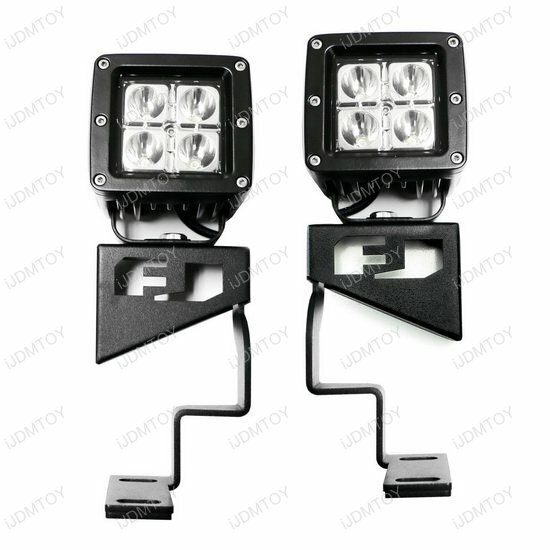 A: This LED daytime running lights will fit 2007-2014 Toyota FJ Cruiser. 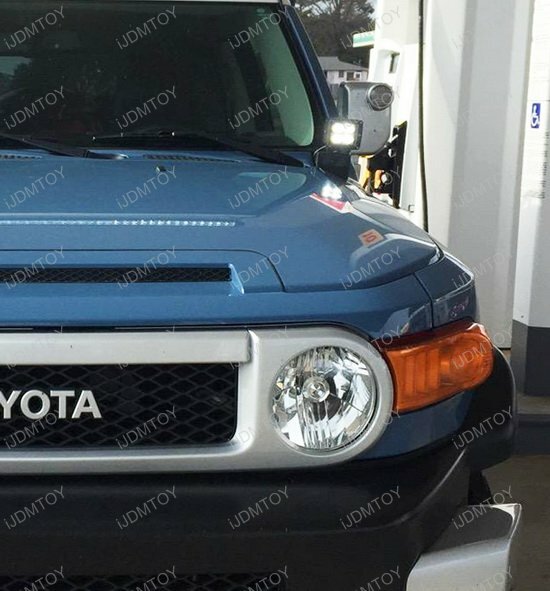 Q: How is the FJ letter oriented onto the cowl brackets? 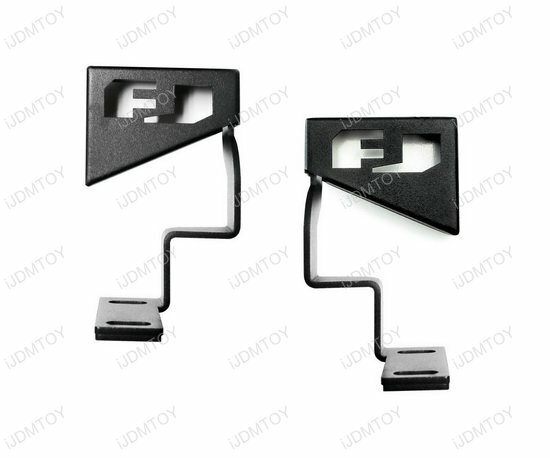 A: Our FJ Cruiser LED Cowl Light Brackets have "FJ" on the brackets, and oriented the same on both left and right sides. 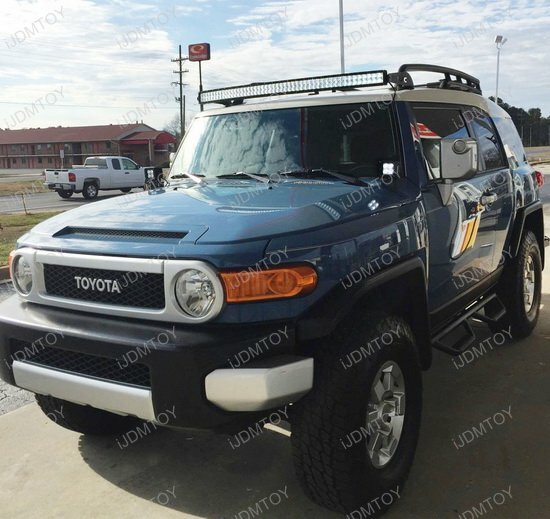 Other companies may have only an F or have one side an inverted FJ. 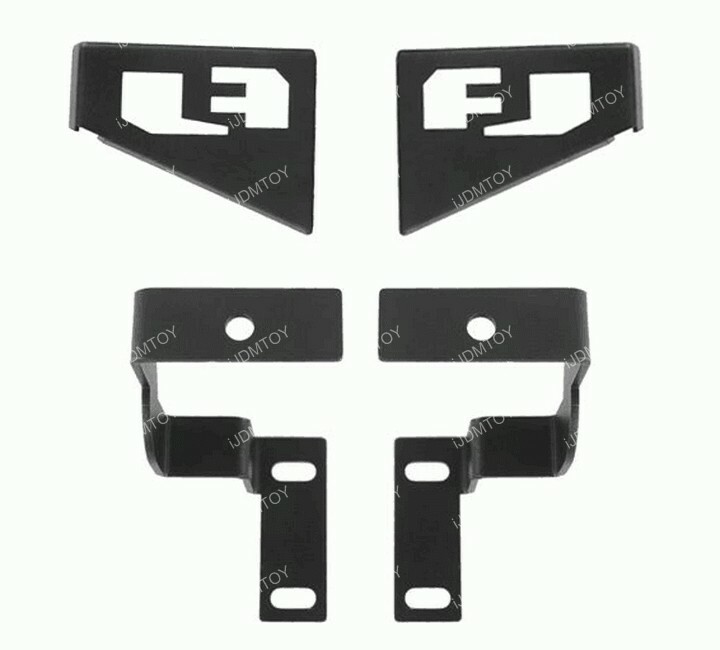 Q: Is there enough room to accommodate the Toyota FJ Cruiser metal mounting brackets? 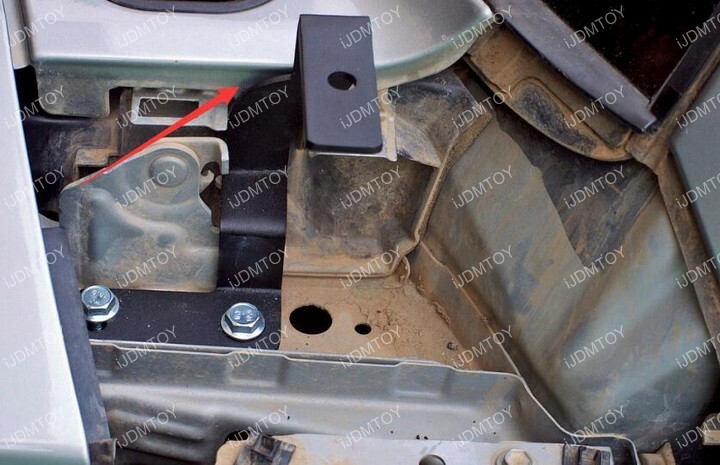 A: The available gap to accommodate the cowl light bracket is 3mm wide, and the mounting bracket measures at 2.9mm. 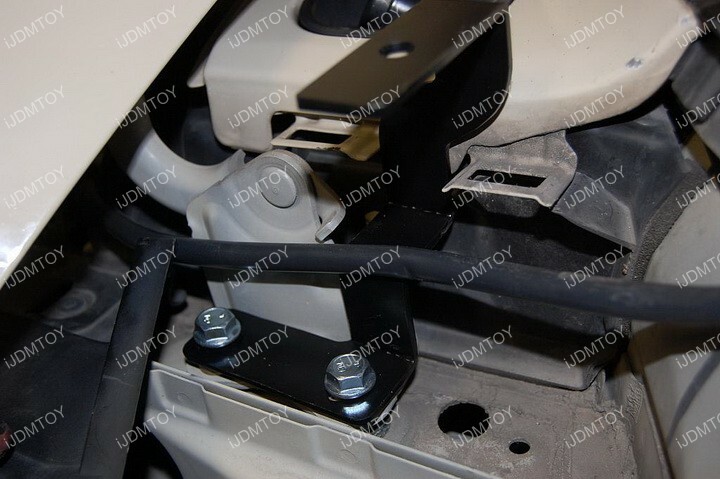 Therefore, the cowl bracket will fit in very precisely and pretty snug. 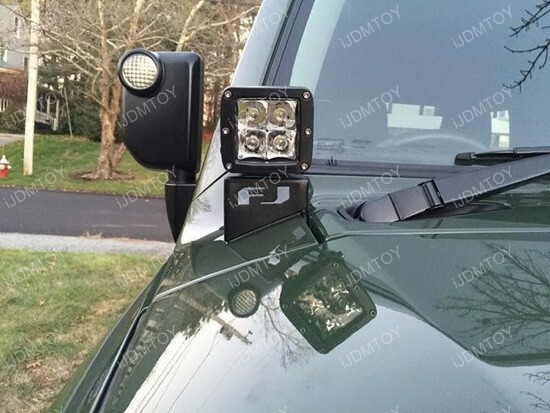 Q: How do I install these LED front cowl lights? 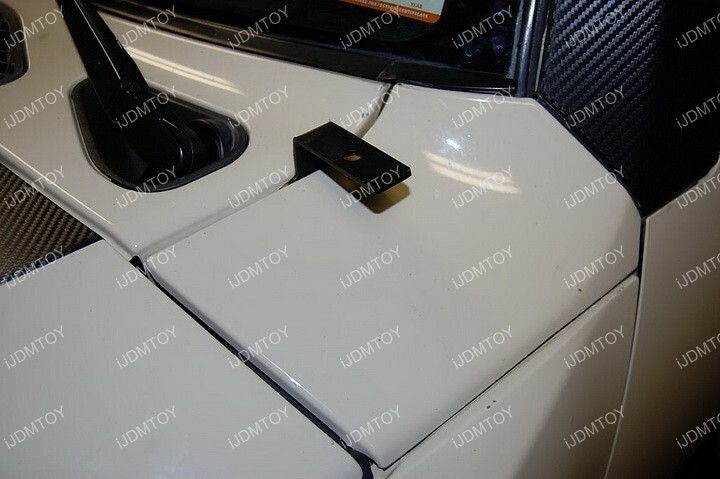 A: Step 1: Locate the panel near the side window. 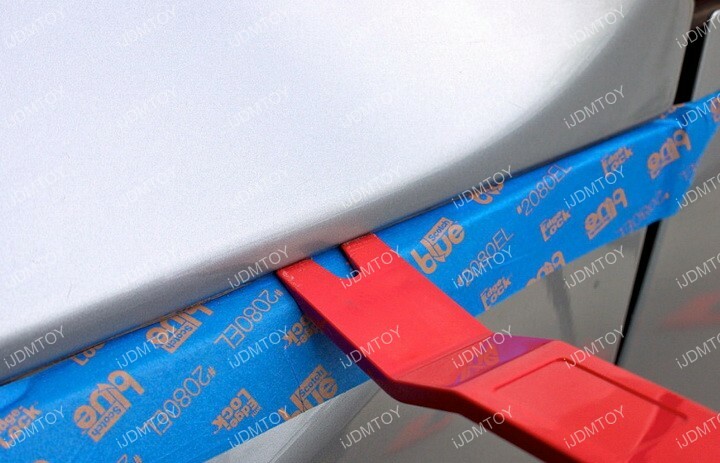 Pry open the panel. 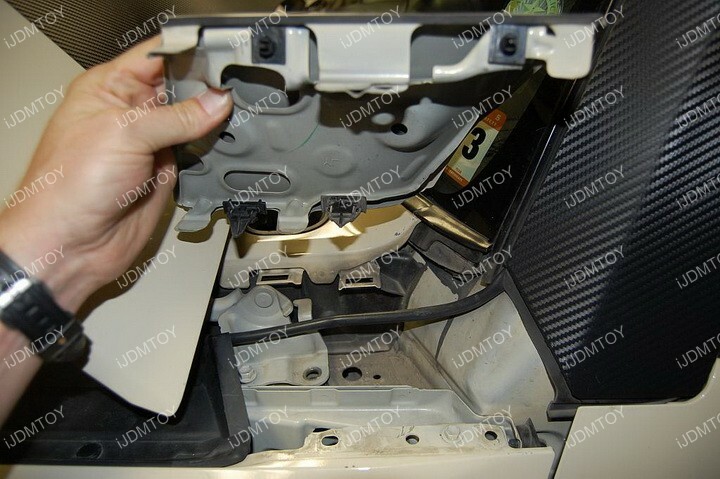 Step 2: Make sure to carefully remove the panel to preserve the clips. 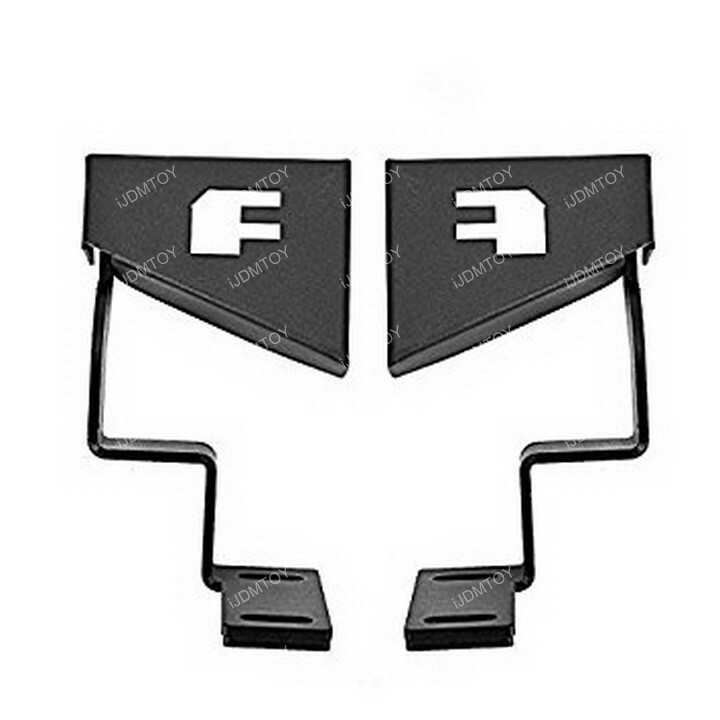 If you happen to damage the clips, the package does come with extras for your convenience. 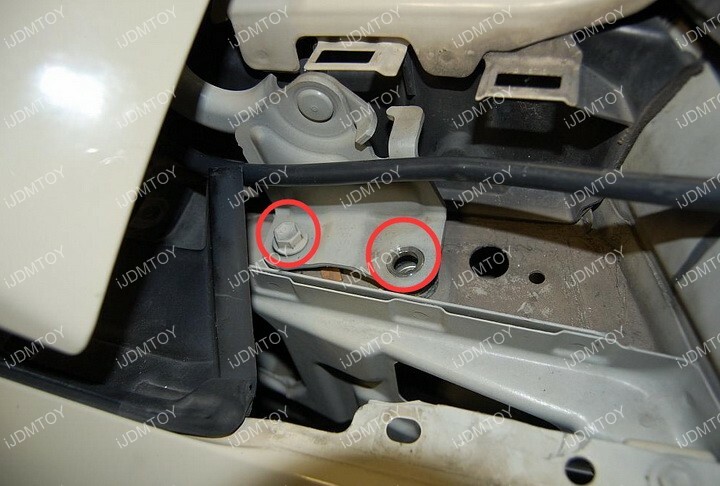 Step 3: Take out the two screws circled in red. 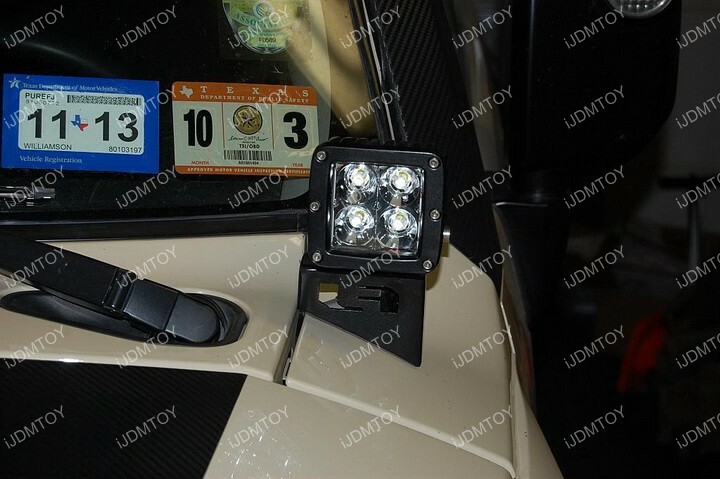 Step 4: Mount your new FJ Cruiser LED Cowl Light Bracket and screw it back in place. 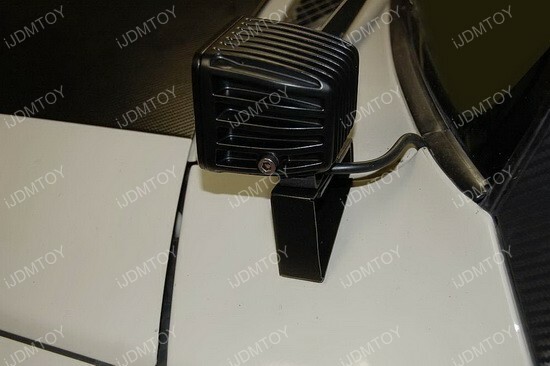 The available gap to accommodate the cowl light bracket is 3mm wide, and the mounting bracket measures at 2.9mm. 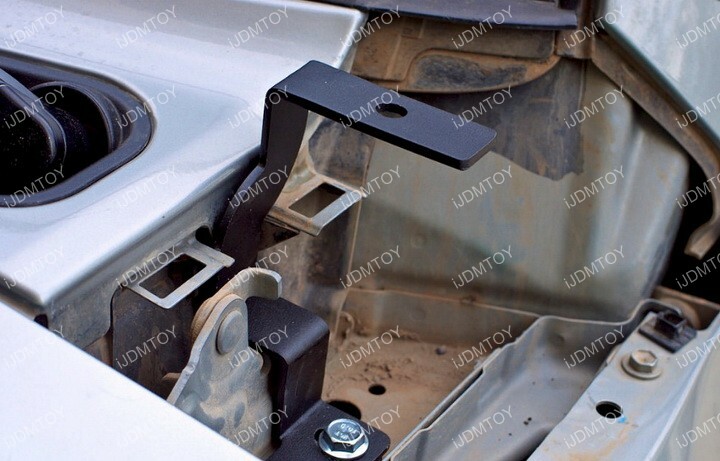 Therefore, the cowl bracket will fit in very precisely and pretty snug. 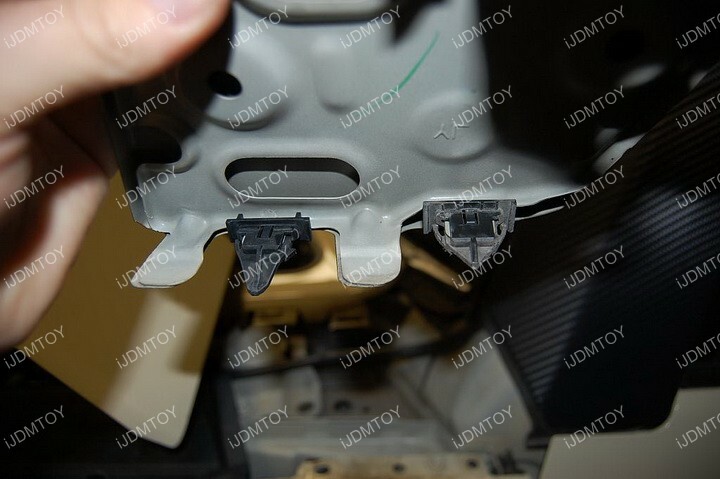 Step 5: Run the wires through the engine bay and tap the wires accordingly. 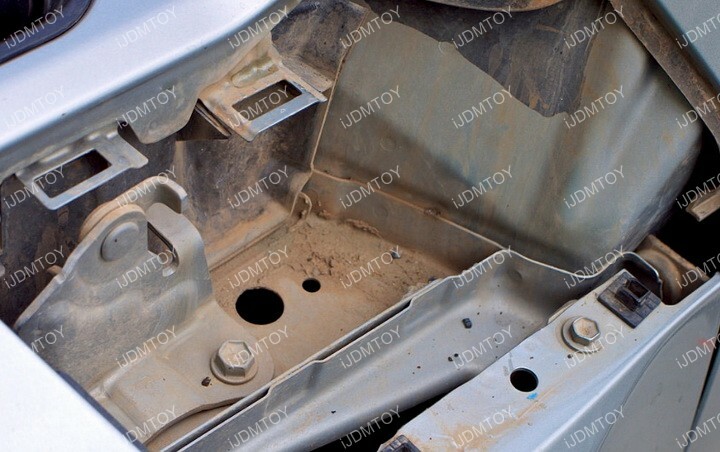 Put the panel back in place. 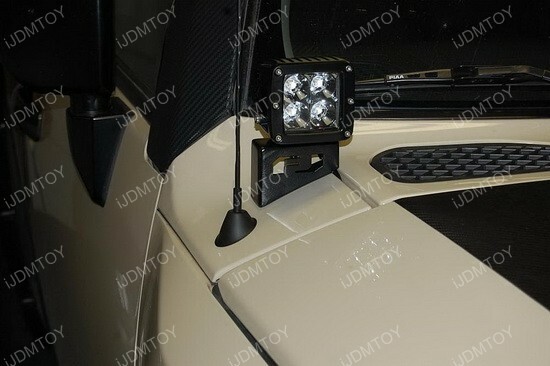 Step 6: Mount the new Toyota FJ Cruiser LED Cowl Light. 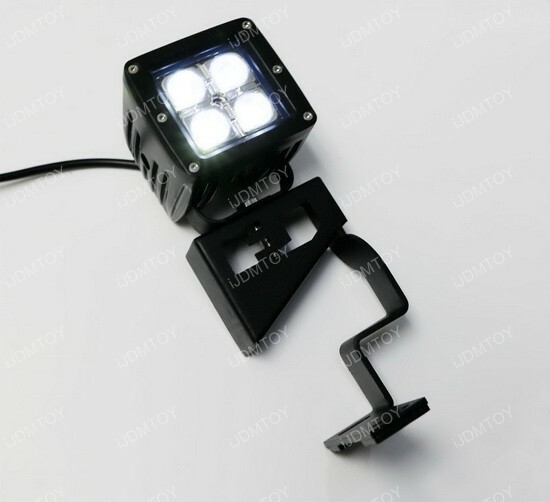 Test to make sure everything works and repeat the process on the other side. 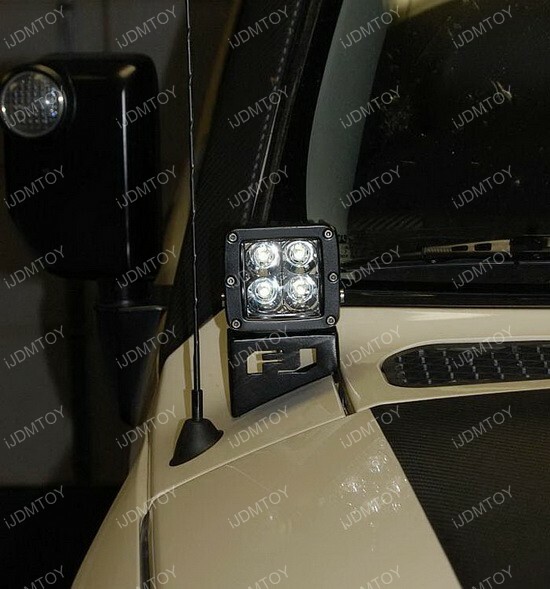 This page features a set of 40W CREE high powered LED front cowl light kit plus windshield pillar metal mounting brackets for the 2007-2014 Toyota FJ Cruiser. 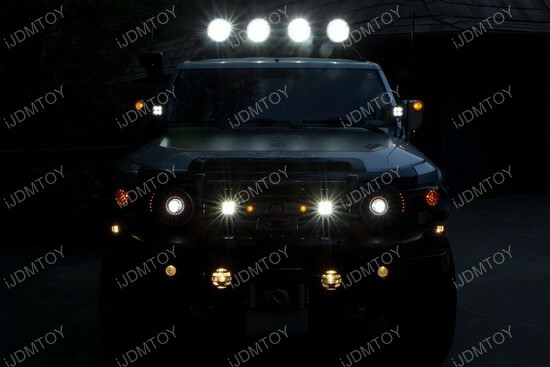 Each LED light is powered by 4 pieces of 5W high powered XP-E CREE LED lights that you can mount onto the front of the windshield side pillars with the aggressive "FJ" emblazoned brackets. 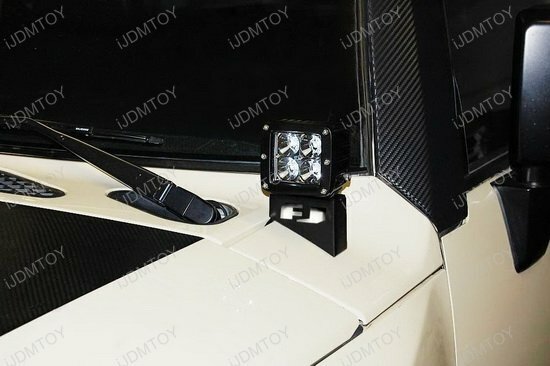 The set comes with 2 pieces of 3" cube shaped spot beam LED lamps and personalized FJ Cruiser black powder coated metal mounting brackets.